Swimming is one of the best forms of cardio exercises. The sport can be performed by all different of levels of swimmers of all different ages. I have been taking UCSD’s swim conditioning course for two quarters now and have learned many new things. From the different strokes to how to utilize the stop watch, the course has given me a balanced routine that I can practice throughout life. Swimming laps in general can be beneficial to many people, it helps with cardio health, weight loss and muscle conditioning. 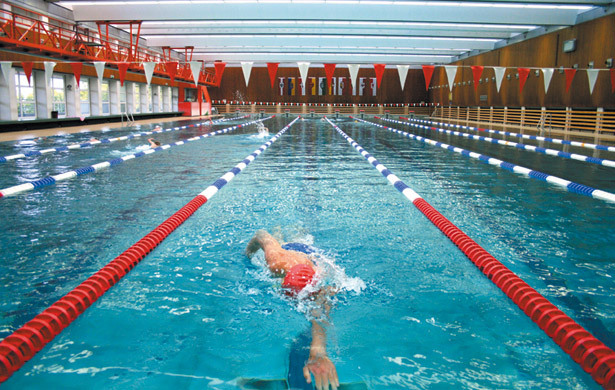 Depending on the routine, swimmers can experience a fun way to work out. As a beginner I was a bit scared, I’ve never been taught how to swim laps properly, in fact, I was kicked off my middle school swim team for not knowing how to swim in one lane. So I signed up for the course with the hopes of learning how to make dimming beneficial to my workout routine. The instructor identified my weakness and helped me correct my freestyle stroke. The class is structured differently everyday. Sometimes we practice our long distance workouts and other days we will work on skills to improve our different strokes. My cardio has improve drastically. The class is fun. I recommend checking it out. Joining a workout class can be intimidating especially when you’ve been out of the workout scene for a bit. There are many positive things about taking a workout class. You get to meet new people while being instructed properly on how to get the most out of your workouts. 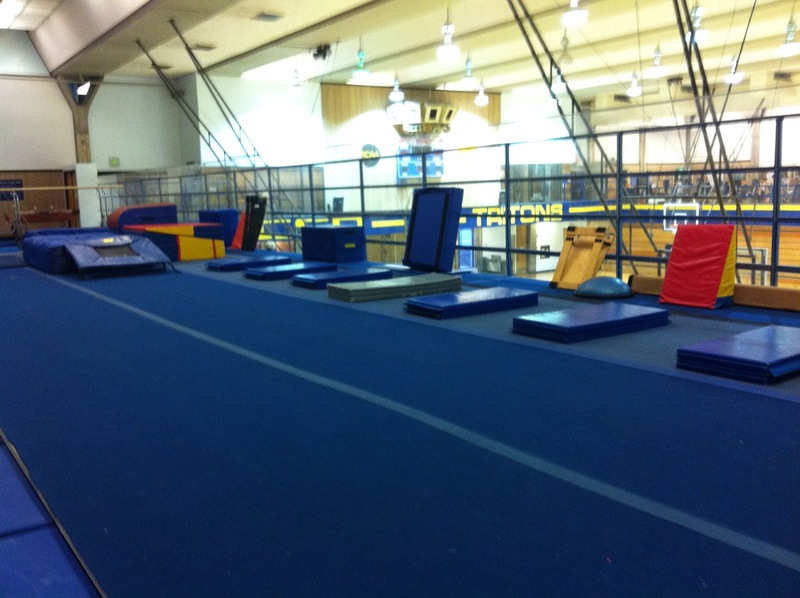 I recently signed up for UCSD’s gymnastics boot camp class twice a week. I first noticed the class last quarter while working out at the Main gym on campus. People were jumping on trampolines and doing pike push up off of different size mats, all while listening to the latest Lady Gaga jams. Where’s the sign up sheet? I was nervous, excited and energized my first class, the instructor was extremely nice. He explained the purpose of the class and his teaching philosophy when it comes to working out. The class is small 4-8 people per class. He has us warm differently every time. 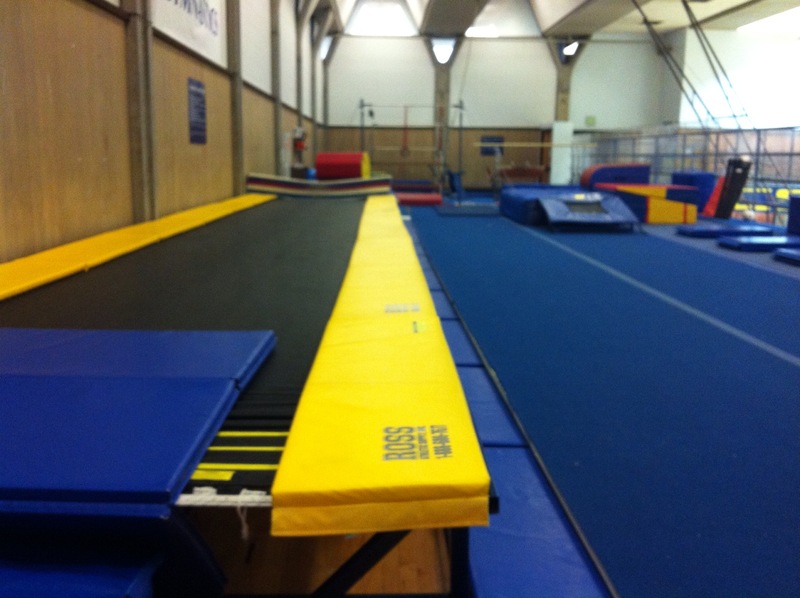 Sometimes on the trampoline some times sprinting around the matted area. There are all sorts of different levels of experience participating in the boot camp. I find the different levels motivating and inspiring. The group works together to motivate each other to fight through the workout. Most fitness groups lack this experience. the group cheers and socializes all while burning calories. Although the boot camp uses gymnastic equipment, our own body weight is the primary source of training. A typical workout is structured as a circuit ending with a group challenge. I have seen people transform from taking this class. The workouts are tough, but the group support makes it possible. Even if your a beginner or an expert, this class will workout you out. The instructor is knowledgable and fun to workout with. This is my second quarter taking the class and I have seen a huge transformation internally and externally. I have lost a jean size in my waist while also strengthening my upper body. The different exercises introduced in the class are easy enough to do at home or at the gym, I just keep coming back for the group experience and the music. I definitely recommend UCSD’s Gymnastic Boot camp class to all levels of fitness ehnthusiastics.